Imagine it’s Monday morning, it’s 8:00 a.m., the work week isn’t even a full minute old, and the CEO is calling the support line, frantic because his password expired and now he can’t login to give a presentation. Talk about a nightmare way to start the week. Thankfully this can all be avoided with a simple PowerShell script. 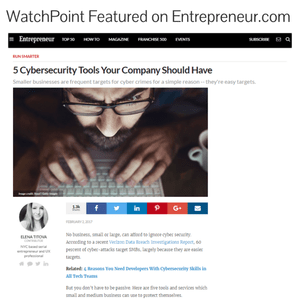 Our tip of the week will show you how to notify your employees that their password is going to expire, and avoid this kind of painful support call. This script is courtesy of Robert Pearman, and you can find the TechNet Gallery article here. Today's script will be very easy to use. 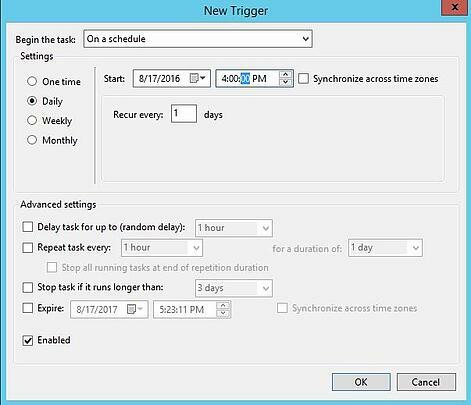 First, you’ll modify the script to match your environment; then we’ll show you how to setup a scheduled task so that the process is automated. Modify the PowerShell script. Everything in bold will need to be modified to match your environment. 2. Save the script to the location of your choosing. 3. Open Task Manager and select ‘Create New Task’. Give it a proper name and ensure that ‘Run whether user is logged on or not’ is selected and that ‘Run with highest privileges’ is selected. Sensitive information has been removed from this graphic. 6. The rest of the settings can stay at the default settings. 7. Click OK and enter the username and password of the user account. 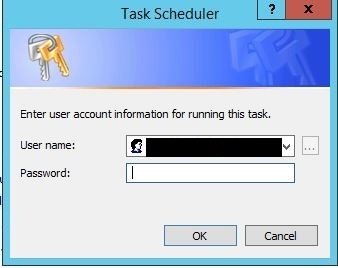 *Note the user account will require ‘run scheduled task/batch file permissions’. Sensitive information removed from the screenshot. 8. Click yes at the next prompt. 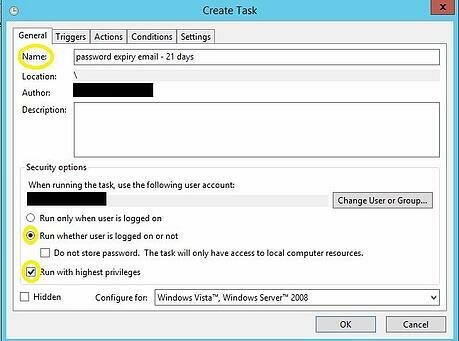 Tip – Just in case the users don’t change their password after the first reminder, we recommend that you set up a second schedule task to remind your users again, three days before their password expires. For the additional reminder, modify the $expireindays variable from 21 to 4. There’s always a chance you have a procrastinator in your midst, and this way you’ll help to keep them from making that frantic call right before their big presentation. This script is configured for ‘Test Mode’ by default. Test mode sends an email to the administrator, instead of to each user. To take the script out of test mode, simply change the $testing variable from Enabled to Disabled, per the script instructions.